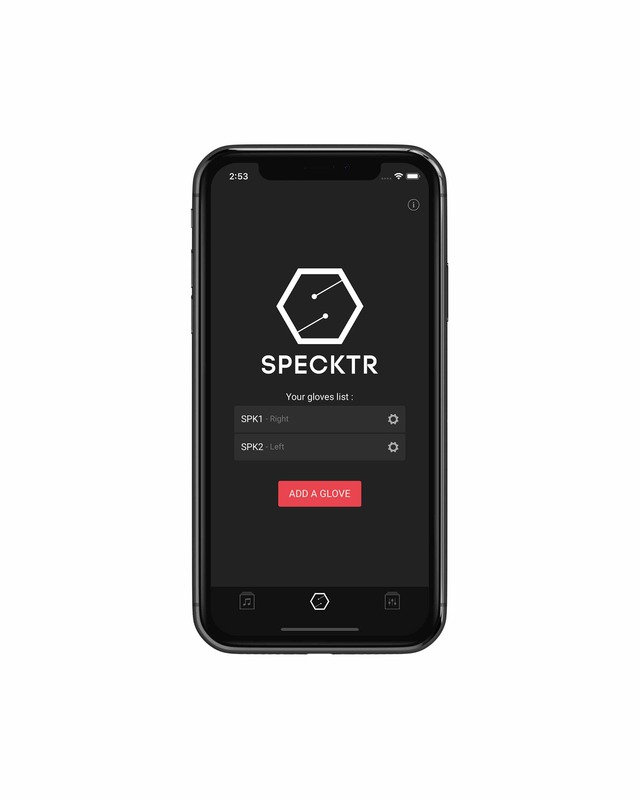 Simply switch on the Bluetooth, open the app and your Specktr Glove is instantly recognised, give your glove a name, choose your hand and start to use it. 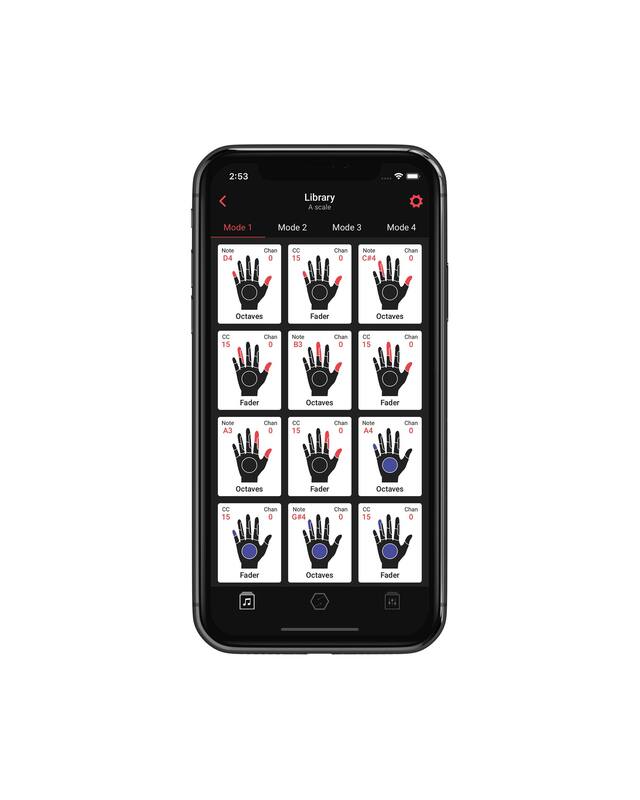 You can update your glove thanks to the application to upgrade it with the newest moves that we will add. Open the Presets tab and load instantly the defined presets that we have designed for each of your applications and software. Once it is loaded, the preset remains in the glove memory and will work with all your devices. 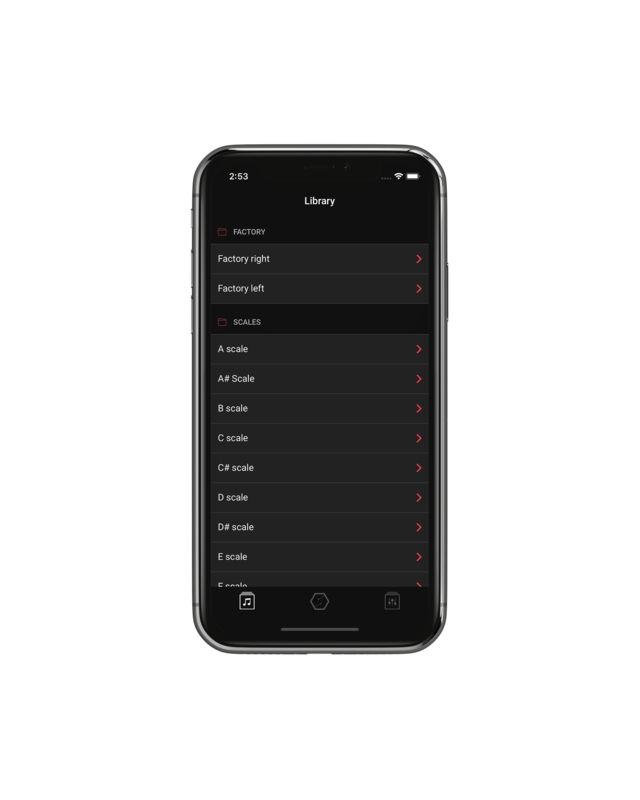 Create your own presets : pick a position, choose your motion and assign it easily to a MIDI control that you will be able to use on your app(lications) and favourite software). 1500 possibilities for you, lets play! The Specktr glove recognises the 6 following moves for a limitless creation. Triggering of notes and commands on your software. Triggering of note with 3 octaves depending of the tilt angle of your hand. Triggering of Sample with a velocity given by the motion of you hand. Based on defined angles like those of a classic potentiometer. Just like the pitch bend control knob of a synthesizer, it adjusts the centre tap of the potentiometer when you touch you fingers and can modulate it by twisting on the right or on the left. Based on a classic fader of a mixing board, it enables you to assignate a modulation of a low point for the minimum to a high point for a maximum of modulation.